Building and growing your business as a freelancer is pretty exciting, right? 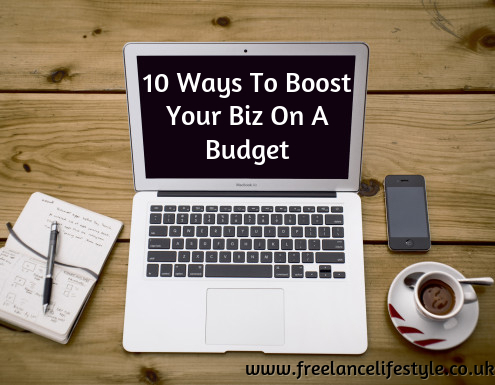 But many freelancers I know are nervous about growing their business as they envision huge upscaling costs. Not true! There are plenty of ways you can grow your business, with a few free or low cost tools. Get your social media organised: Buffer – [su_highlight]FREE-£10 a month[/su_highlight]. If there’s one tool that’s made the biggest difference to my business in the last six months, it’s Buffer. I use it to schedule all my content in for the week, find suggested content and add in links from my favourite feeds. Not only does this save me lots of time, but it’s also boosted my Twitter followers and helped me focus on relationship building. As a bonus, they’ve just added a tool to create great social images for blog posts and social media (if you’re signed up to the £10 a month subscription). Get networking and building a tribe online: Facebook groups – [su_highlight]FREE[/su_highlight](unless private subscription). One of the easiest and cheap ways to build or join a community now is on Facebook, through the groups. Pages are becoming trickier thanks to that naughty algorithm that keeps us on our toes and keeps us spending money to reach our fans, but groups are free to use and posts can read everyone (depending on their notification settings). I’ve build some fantastic new business relationships through both my own group (more of that in a couple of bullet points) and through others. Here are a few of my favourite groups for freelancers. Outsource the small stuff: Fiverr. [su_highlight]$5[/su_highlight] Fiverr is a freelance marketplace for small tasks you want to outsource. I recently used it to get a voiceover for my podcast, a tweak to my theme and a quick banner. I wouldn’t use it for anything extensive (ethically I don’t agree with paying tiny amounts for lengthly jobs – you get what you pay for and freelancers deserve better), but for quick little jobs that would take me hours and others 5-15 minutes, I outsource. Upgrade your imagery: Canva.com. [su_highlight]FREE[/su_highlight] Hello game changing app! This website and iPad app is the best way to create good visuals – and good visuals can lead to a higher click through rate, more shares on Pinterest and a better brand. Expand your reading for less: Buck Books. [su_highlight]$1[/su_highlight] I’ve been subscribed to Buck Books for a while now, a newsletter where you get daily deals for $1 Kindle books by newsletter. There’s a mix of fiction, food and business books – and the latter is usually new but promising titles. I believe there is also a UK version. Get the best software and services for less: App Sumo (affil link). [su_highlight]A huge chunk off the price of great services. [/su_highlight] This newsletter offers a new discounted offer on a digital service or products every week or so. Products recently range from YNAB to three months of Audible membership for $2.95 a month. The discounts are huge and it’s a great way to find out about new and emerging startups. They also do a great free email course on doubling your mailing list. Meeting people face-to-face: Networking events. [su_highlight]The price of a cup of coffee[/su_highlight] There are plenty of membership networking groups around which charge large fees for you to join based on the idea that you’ll get lots of referrals. I’m sure some of these work. But often there are a limited number of people in these groups. Personally, I prefer the coffee morning style ones where you pop a few quid in a pot for your drinks and meet lots of people. I also wouldn’t just stick to one networking event. Try lots! Get your business organised: Project management software. [su_highlight]FREE[/su_highlight] I recently started using free tool Asana and I love it – it’s the perfect way to see where you are with all your projects, set deadlines, provide structure and have somewhere to brain dump ideas. Get socially savvy: Social Lite Support. [su_highlight]£20 a month[/su_highlight] While I highly recommend speaking to a social media consultant when your ute starting out to help develop your social media strategy, I know that hiring a consultant on a monthly basis isn’t an option available to some smaller businesses. That’s why I created The Social Lite Support group, a private Facebook group where you your questions can be asked, inspiration can be found, ideas can be shaped and strategies formed. It’s micro-social media consulting – for just £20 a month. So, what should you splurge on? Coaching/mentoring – investing in a great coach can have a huge impact on your business, and that 1-2-1 help means you get customised advice and can cut to the chase. Work out how much work you need to get back to pay the price of a coach, then make that your goal for the first couple of weeks after. 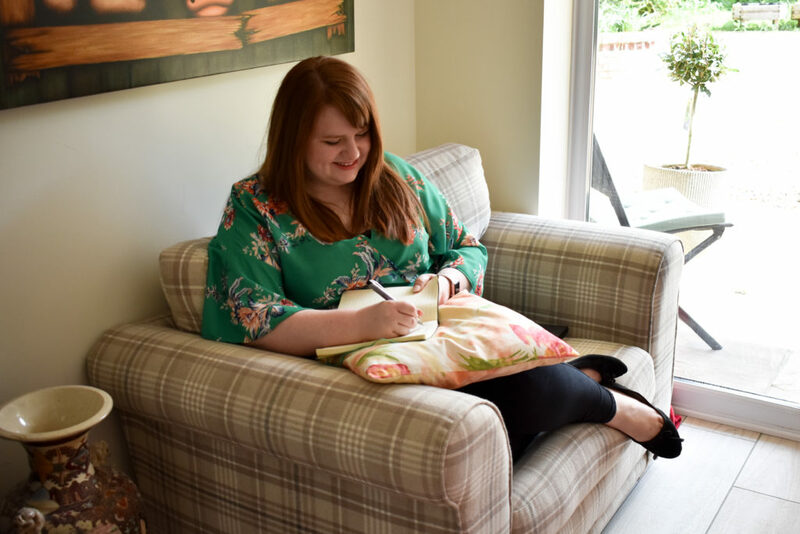 If you’re looking to up your freelance game, I do offer 1-2-1 coaching for freelancers for just £99. VA. Hiring a VA (or two!) has been one of the best moves I’ve made in my business this year, and you’ll be surprised how affordable they are – especially when they get the work done faster than you (and in some cases, bigger). If you’re looking to grow your business, I’d highly recommend looking at getting a VA as your first step. I’m not a naturally organised person, but having Joanna Shock on board has been like getting a brain cleaner in – suddenly I have structure and time to focus on the important stuff. Accountant. This is not an area where you want to go cheap and cheerful. You get what you pay for, and often you’ll find that you’ll make back the money you’ve invested in tax savings if they’re great at their job. Great PR skills. Being freelance means you need to do all of your own PR, which can be tricky if you don’t know where to start. 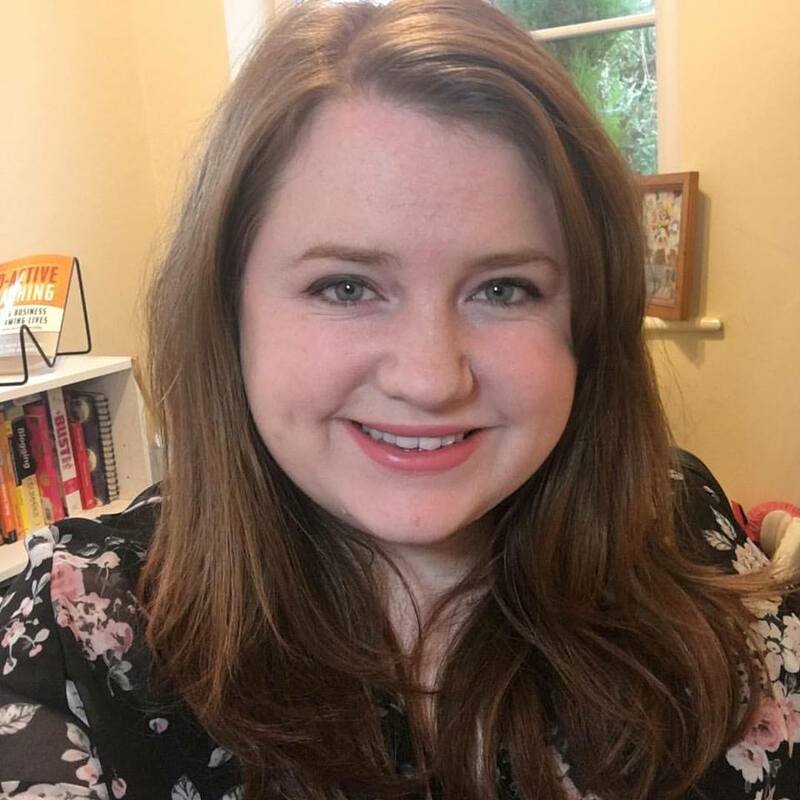 Kerri Walker has recently launched a great 30 Day PR course to get you going with your PR (and the first 50 people get a £20 discount off the £49 price, so it’s actually a bargain!). Kerri also runs The DIY PR Club, which will take your business to the next level using clever PR techniques. Good equipment. Tapping away on a crappy laptop which freezes all the time is soul destroying and adds a lot of stress to your day. Laptops don’t have to be super expensive (for example, for on the go work I have a brilliant Dell Chromebook which appears to only be £125 <http://www.dell.com/uk/business/p/chromebook-11/pd&gt; at the moment). But you shouldn’t have to make do with something which is slowing the productivity of your business. What did you splurge and save on when growing your business? I recently upgraded my laptop and it’s changed my working life, no more crashing, freezing and my crying at the desk, now my time is used efficiently and I get so much more done! VA’s are critical to growing too, we can’t do everything so don’t try, do what you’re good at and let others help at what they’re good at! Agree completely, VAs are vital for anyone that wants to grow their business. Also, a great laptop makes ALL the difference to how I feel about my work. Lots of great tips/resources here, including quite a few I hadn’t heard of before. Splurge-wise, I recently went on a 1 day Digital Marketing workshop (which prompted me to finally join Twitter!). Savings-wise, I’m able to update my website content by myself – whenever I want – since switching over to a WordPress platform. Ah you’ve joined the WordPress side! How are you finding Twitter? Thank you for finally explaining the true purpose of Fiverr. I myself am not a very big fan of it, not because I don’t like the system itself, but because I don’t like most of the clients who expect wonders for 5 bucks and then get surprised or angry when they don’t get what they wanted. Oh I absolutely agree – I think they’re great for very quick, small jobs – but if you’re looking for anything that takes longer than 30 minutes, you get what you pay for!